Only a few weeks ago we covered the news that Valve had released the mechanical CAD geometry for the Steam Controller under a Creative Common license. That has been allowing owners of 3D printers, for example, to make their own modified external controller parts. Now we hear there are changes on the way that might mean new CAD geometry files will have to be released. At the GDC last week Valve hosted a presentation where upcoming changes to the design of the Steam Controller were discussed. A hardware revision to the controller is confirmed to be in development but the feature set won't be drastically changed, as the tweaks will focus on controller look and feel. According to PCGamesN there are already 400,000 Steam Controllers in circulation. It is hoped that those early adopters aren't barbed by the new hardware revision bringing a significant new feature or other benefits, but there are indeed improvements on the way. Valve's Pierre-Loup Griffais offered some reassurance to recent Steam Controller purchasers by saying that the Steam Controller v2 would have only minor feature updates: "Maybe we'll throw extra features in here or there, but the controller's not gonna grow a new touchpad, or a new set of buttons, or a new major feature." Rather than a revolutionary change, Giffais touted a "hardware revision to the controller to improve look and feel". Attendeees were told that work is being done on some "common rough edges" that make using the controller harder than it should be. Giffais added that the team at Valve were very happy with the feature set on offer and "do not intend to drastically change it, or even change it at all". 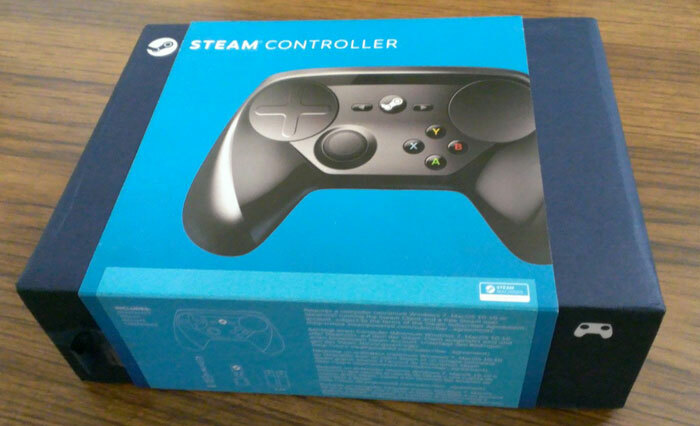 Timescales for the Steam Controller v2 hardware revision release weren't discussed. That's annoying. Was considering one of these or a new mouse. Not having even a vague date puts me right off. Why would I buy something when a new version will be released anytime now? The reaction to the original was very mixed so I reckon it would be best to wait or just go for the mouse. I think unless you are worried about getting custom 3d printed bits for it, the “new” version won't do anything that the current versions won't. I'd go for the mouse, personally. And an XB1 controller. Good, I have the original steam controller and love it to bits but there are definitely bits I'd change. For one, lithium ion rechargeable batteries because no matter how long AA batteries last they're still inconvenient. Combine with point two which is increase the weight and reinforce bits to give it a solid feeling, and the two go together pretty well. Seriously the steam controller is light but a little too light, for instance the rumble of the touchpads seems to come through in other parts of the device like the triggers and makes a sort of rattling sound. For the love of god remove the right touch pad.